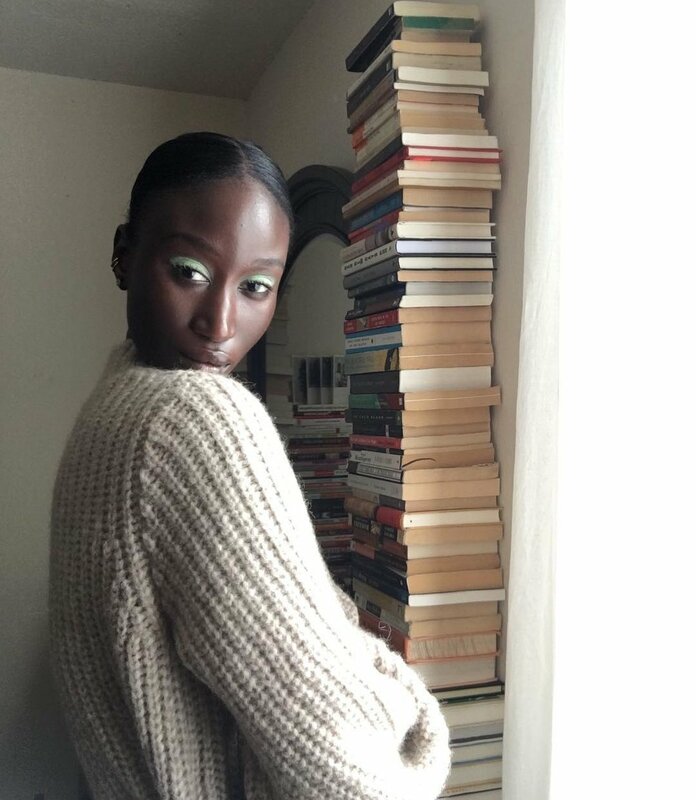 Amy Sall was born in New York, but it’s her ties to the continent of Africa that fuels her everyday work. The first-generation Senegalese-American, now 27, is a human rights advocate and part-time culture and media studies lecturer at her alma mater, the New School in New York City. Her classes, reflective of her personal interests, include “Third Cinema + The Counter Narratives” and “The African Gaze: Visual Culture of Postcolonial Africa + The Social Imagination.” When she isn’t lecturing and participating in and moderating panels and forums, Sall moonlights as a model. The Elite Models signee has been featured in Vogue and Kinfolk magazines, and posed for campaigns with J. Crew, Armani Beauty, Pomellato and Kenzo, putting her lithe figure, rich skin and striking features to use. In fact, Sall was a Vogue intern as an undergraduate, originally flirting with the idea of topping the fashion bible’s masthead. However, her deep-seated passion for human rights and social development remained at the forefront of her mind. After Sall earned her B.A. in Culture and Media Studies from the New School, she went on to get her M.A. in Human Rights Studies from Columbia University. Her scholastic experiences paired with her inner calling led to the creation of SUNU: Journal of African Affairs, Critical Thought + Aesthetics, which she edits. With this online platform and print journal, named after the Wolof word for “our,” Sall seeks to use literary works, visuals and research papers from Africans and those within the diaspora to amplify the perspectives on African issues. Or, simply put, bridging the gap of understanding between the U.S. and African continent one discussion at a time.